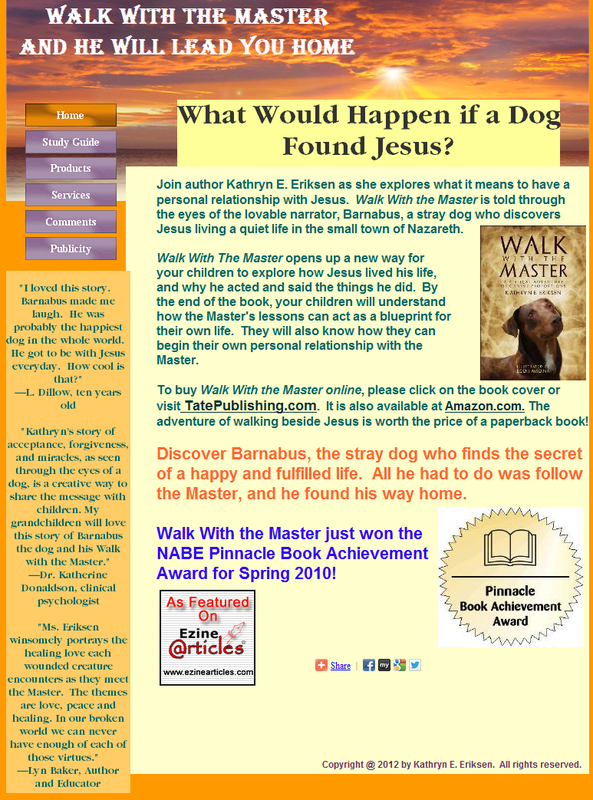 Designs created for spiritual businesses and customers really requires a different sensitivity from traditional marketing. Essentially, spiritual business designs must have a feeling to them that matches the result the business is aiming for. You simply cannot use hypey, loud, bang you over the head marketing with this demographic. In this post I’m sharing both recent designs and those from my archives that I feel express a universal message of love, beauty, magic and transformation. I hope you enjoy them. If you are inspired by any of these designs please share in the comment field below. 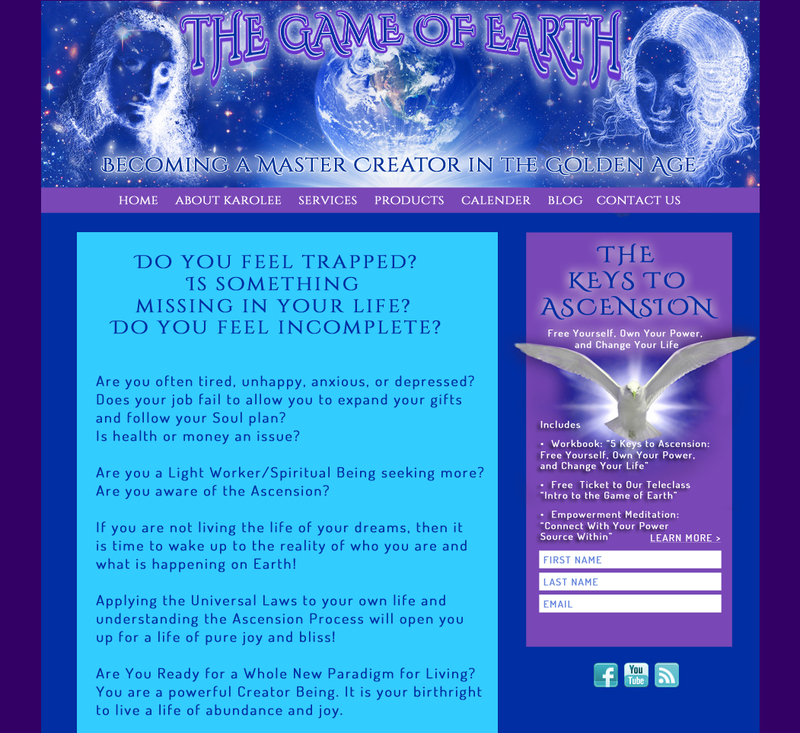 Karolee is a powerful channel and trains light-workers how to become masterful creators in “The Game of Earth.” We collaborated easily to create the branded banner design including the Ascended Masters watching over the earth from Heaven, and a custom opt in design including the Peace Dove in action. 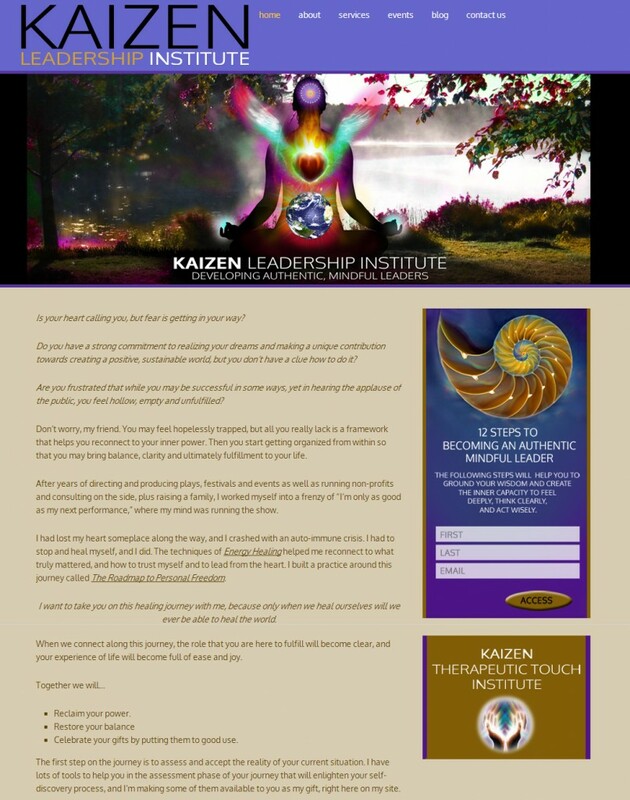 The effect is designed to inspire would-be light-workers to remember their purpose to become master creators and to interact with her through the “Keys to Ascention” free offer (which I find totally irresistible!). Site lauching this Fall. Julia von Flotow has a unique style of training and coaching authentic, mindful leaders. 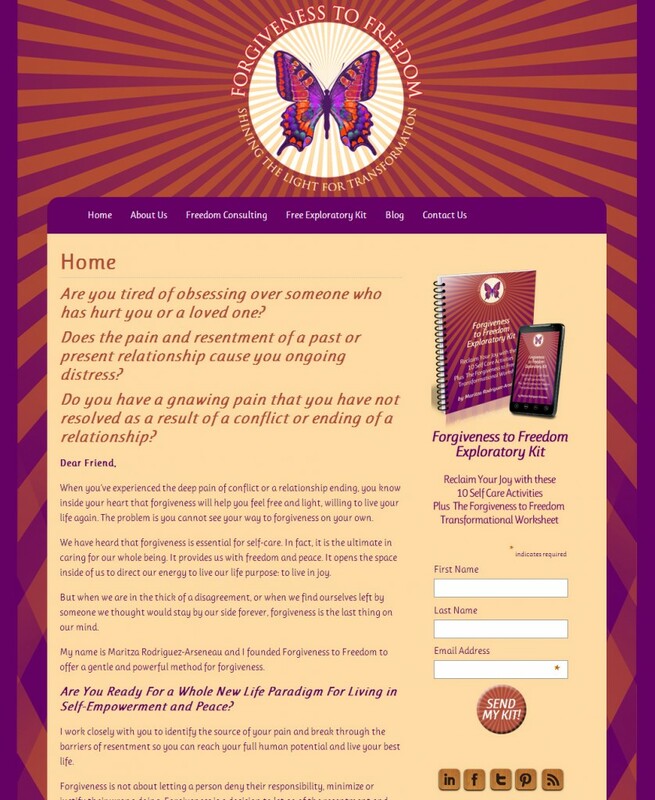 Her purpose is so important for the future of our world, I wanted to ensure the banner design we created for her website depicts the uniqueness of her method. We chose a photo Julia took of a place she meditates regularly and superimposed the meditating figure with 3 key elements inside: The Earth, the Flaming Heart with Wings and the Sacred Geometry Star. These symbols represent the grounding of purpose (for the Earth), the approach of the leader (from the Heart) and the wisdom of their leadership (star mind.) The opt in includes the beautiful spiral shell, another symbol for sacred geometry. 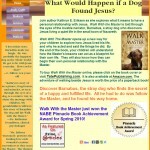 This site will go live this fall. Working with Janice to create her magical banner and theme design was a HOOT, literally. We both laughed out loud when we found the perfect magical companion for Janice as she flies toward the magical realms and north star. The owl is just so cute and funny, as funny and cute as Janice herself. I simply love her cape and animal print leggings. 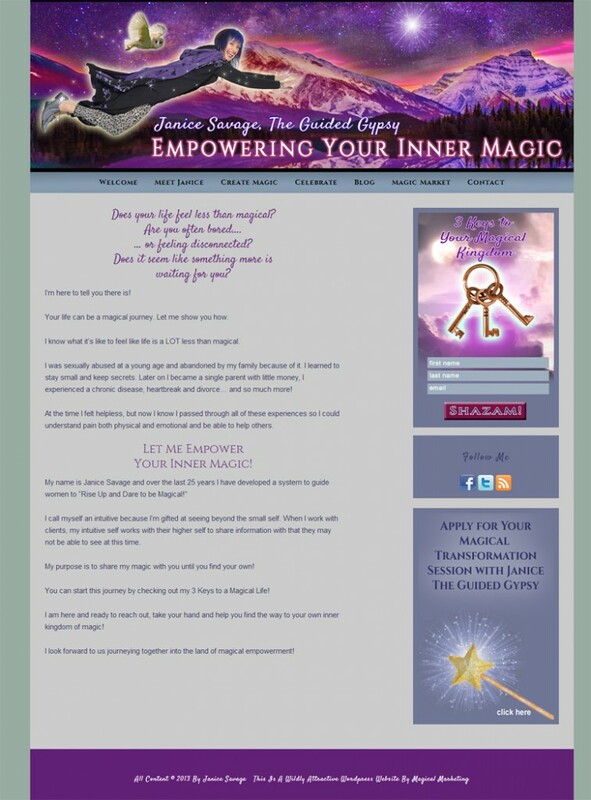 Janice calls on all of us to use our magical talents and come with her on a guided journey. Site will be launching this Fall. 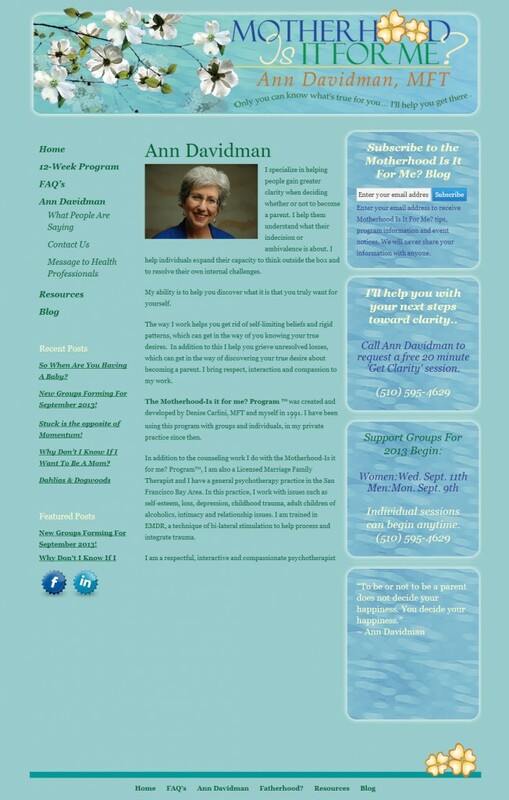 Ann Davidman: Soul Symbol and WordPress Website for Motherhood is it for Me? Love you work!! Keep being awesome!! 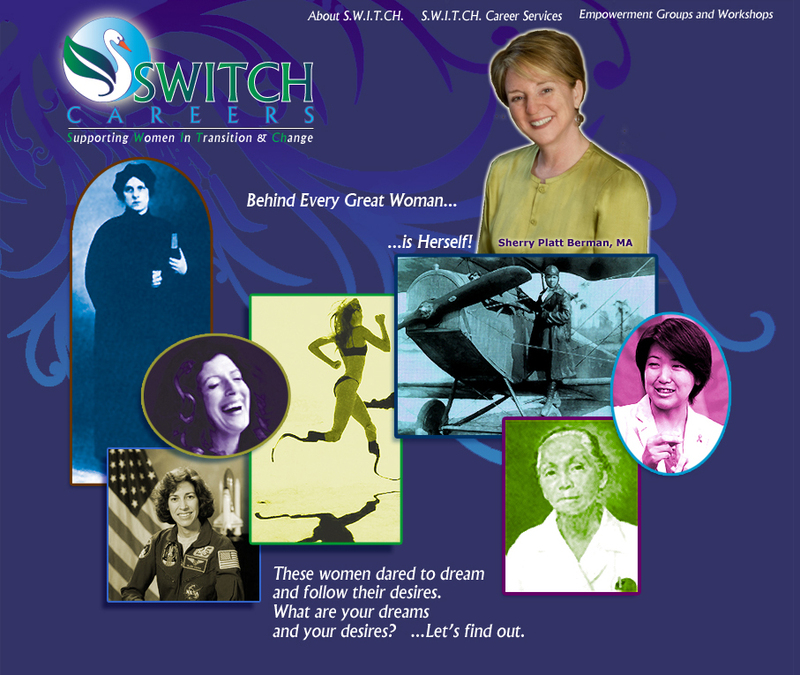 Especially drawn toward the design of Sherry Berman’s site–original, clean and powerful message. Well done. Thanks Janice, and I’m sure Sherry would love to hear that too! Love the colors and the content. 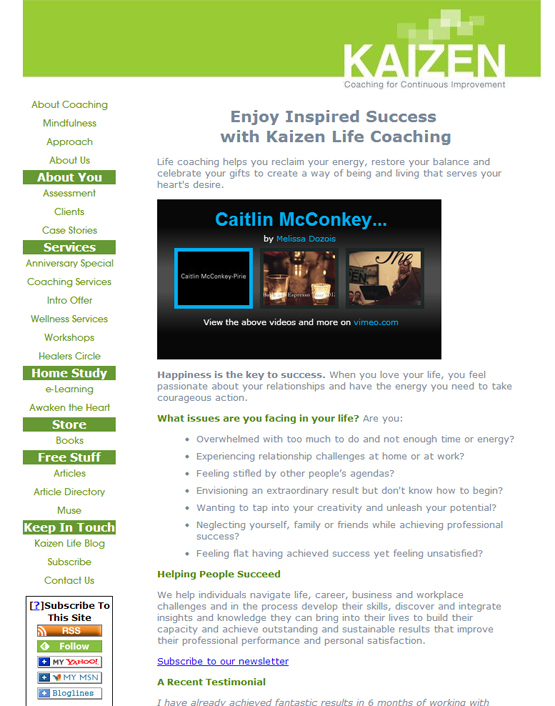 I am a Mindset and Business Success Strategist for women entrepreneurs. 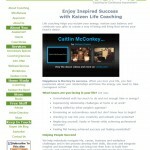 I work with women to remove mind blocks which prevent them from prospering in their business and life. I use vibrant colors because I think our work should bring us joy and colors often set off positive energy! A very powerful and effective way to showcase your work. The visual examples are varied and your descriptions of clients shows your insight into a what the client really needs to express themselves and their business. Joyce, you are so astute. Thank you for your insights. I’m visiting your site now! Love the title! 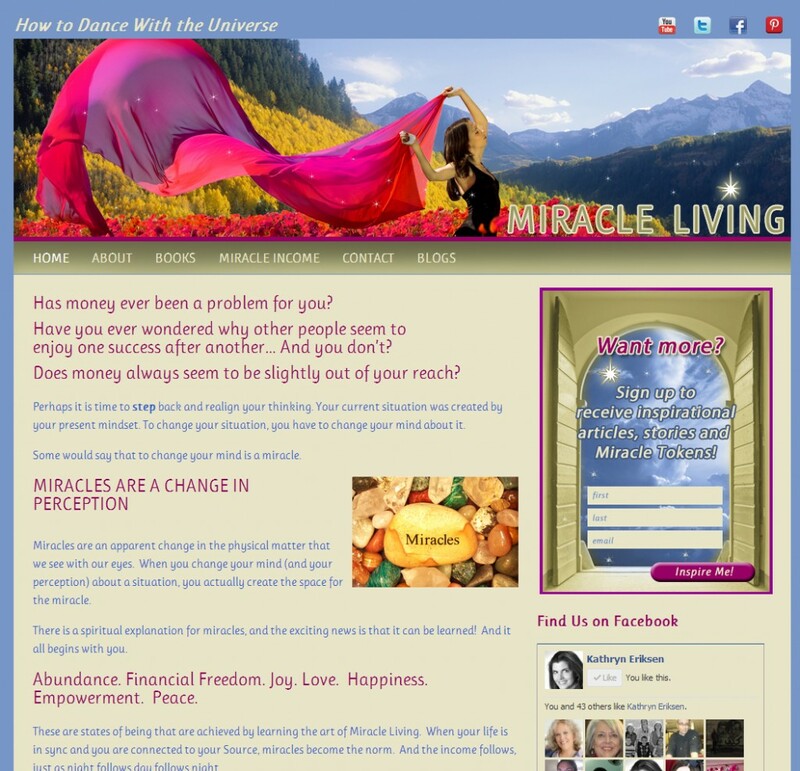 Some beautiful transformations you are assisting in…LOVE the banner at top approach! Thanks Chassidy, I really appreciate your enthusiasm!